The Thomas Kinkade Winter Wonder Cottage is sure to delight collectors both young and old! 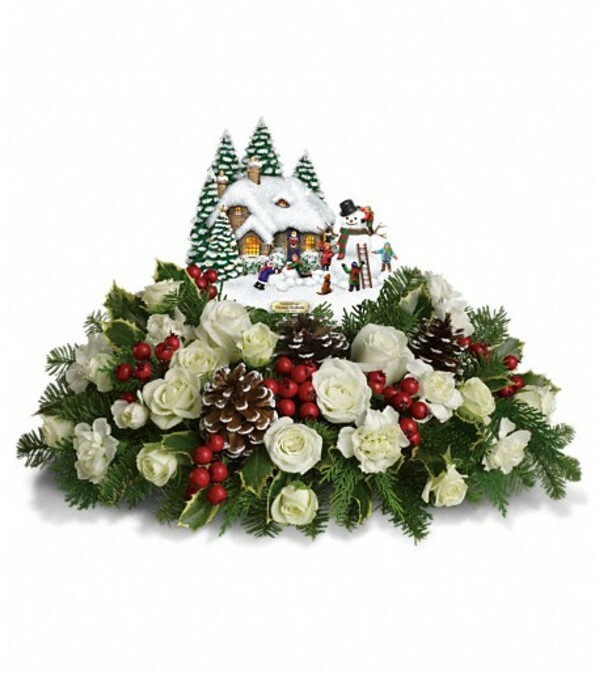 With wonderful detail, this holiday scene comes to life in a fabulous centerpiece arrangement. 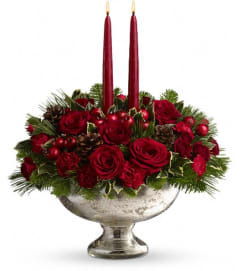 White spray roses and white miniature carnations are accented by tips of flat cedar, noble fir and holly. 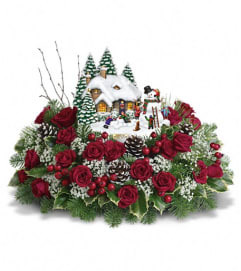 Delivered with Thomas Kinkade's Memorial Winter Wonder collectible.